Stunning remodel and stunning views, it just doesn’t get much better than this! 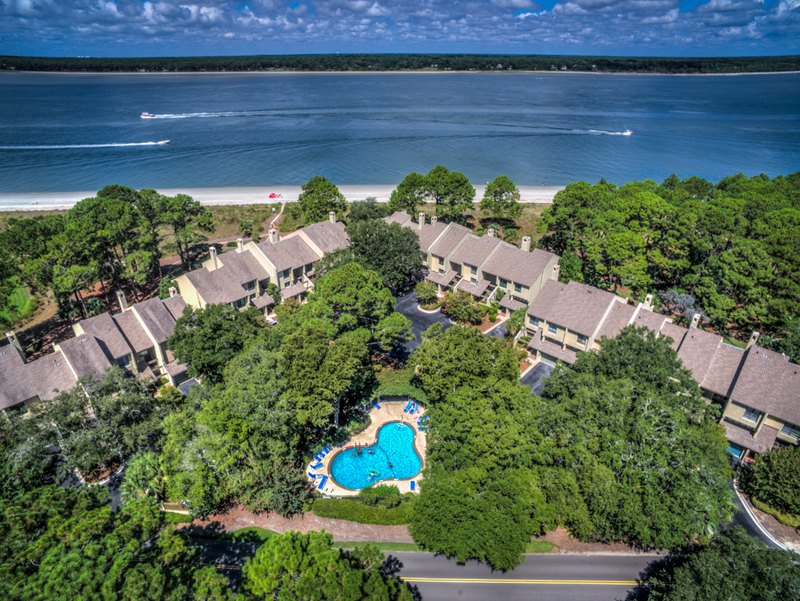 Enjoy amazing views of Daufuskie Island and the Calibogue Sound from this 4 bedroom, 4 bath beachfront Sound Villa. The gorgeous renovations include new wood floors throughout, new paint, all new wood doors, craftsman style trim and wainscoting, brand new kitchen with all new stainless-steel appliances, Quartz countertops and glass tile backsplash. Upon entering, Step down and you will find a cozy living area and a bedroom with king bedding. Both can access the private patio. The laundry area has a beverage cooler and microwave and a full bath which completes this level. On the second level your eyes will be immediately drawn to the spectacular views! The living area is highlighted by the newly redesigned fireplace surround adorned in Turkish Travertine tile. The Living area is open to the dining area which has seating for 10 and is open to the kitchen. There is a full bath off the kitchen as well as a King bedroom. The third and fourth bedrooms are located on the 3rd floor. The master suite is outfitted with king bedding and en-suite bathroom. The fourth bedroom has two twin beds and an adjoining bathroom. Located just a short walk to the South Beach Marina activities, shops, and restaurants. Also take advantage of the free tennis privileges at South Beach Racquet Club. Direct beach access from the back door and an on-site pool. This villa's location is hard to beat! •	The Vacation Company App will contain all of your check in information (keyless door code, Wi-Fi Codes and other pertinent information about your vacation rentals).